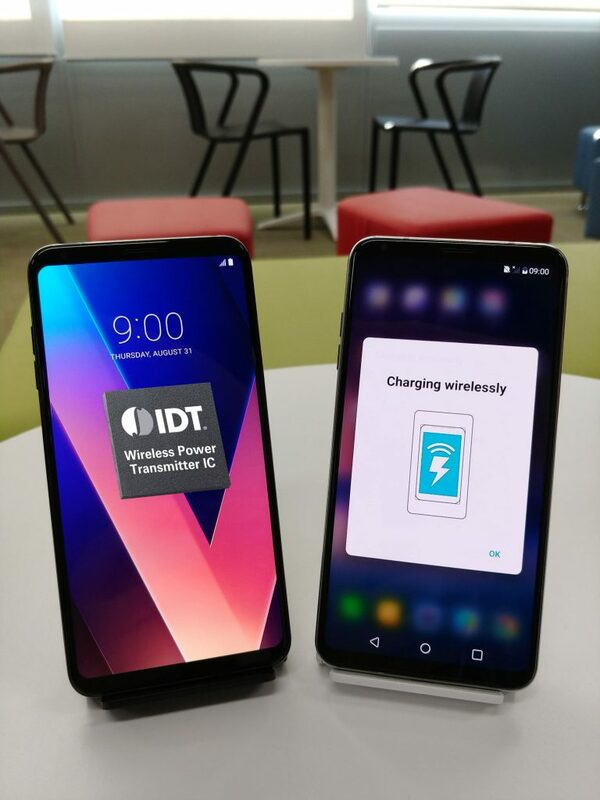 SAN JOSE, CALIF., Nov. 6, 2017 — LG Electronics (LG) and Integrated Device Technology, Inc. (IDT) have partnered on the world’s first implementation of Qi wireless charging Extended Power Profile (EPP) in a flagship smartphone, the LG V30. EPP enables safe, wireless fast charging capability while remaining compatible with existing Wireless Power Consortium (WPC), Qi 5W, baseline transmitters commonly used today. IDT’s market-leading wireless power chips are designed to provide fast wireless charging by reducing charge times by up to 30 percent. The addition of the wireless charging feature contributes to the water-resistance and durability of the sleek, low profile, Qi certified smartphone design. LG’s latest flagship sets a new standard in the evolution of premium smartphones with its offering of optimal multimedia capabilities. The V30 features many industry innovations – the first F1.6 aperture glass Crystal Clear Lens, the first OLED FullVision display, Cine Video mode for producing movie-quality videos, premium sound with advanced Hi-Fi Quad DAC and sound tuning by B&O PLAY. The IDT wireless power receiver offers best-in-industry integration, efficiency, and solution area. The device is based on a flexible 32-bit ARM® M0 core architecture that has allowed LG to optimize wireless charging performance and charging speed. ©2017, Integrated Device Technology, Inc. IDT and the IDT logo are trademarks or registered trademarks of Integrated Device Technology, Inc., and its worldwide subsidiaries. All other brands, product names and marks are or may be trademarks or registered trademarks used to identify products or services of their respective owners.